This is a bright and colorful abstract print by Blank Quilting. It from Blank's Watercolor Parade Collection. This colors in this particular fabric include shades of orange, pink, and gold. It is very pretty and eye-catching. This thematic new fabric family from Blank Quilting in red, black and white features familiar icons from the fire and rescue service. Manufacturer : Blank Quilting. Material : Cotton 100%, Plain Woven Fabric. One Yard : 35" x 44". This is a beautiful print of abstract florals. The colors are pinks, mauves, purples, blues, and greens against a white background. This is a fun fabric--bold and bright. This fabric is being sold by the half yard. General Information.100% cotton, 44/45" wide. Weight of fabric suitable for quilting, crafting, and fashion. New and first-quality fabric rotary cut fresh off the bolt. More fabrics fromBlank Quilting. Manufacturer :Blank Quilting. Material : Cotton 100%, Plain Woven Fabric. One Yard : 35" x 44". This gorgeous large floral and foliage print in gray and white on black is by Blank Quilting and is from their Regency collection. I have included three photos. The first shows a piece of the fabric from selvage to selvage so that you can get an idea of how stunning the full effect is.The second photo is a close-up detail of part of the fabric and the third is a photo of a quilt that can be made using this fabric. Everywhere up to 10 yards up to 26 yards. Fabric Type: New, 100% Cotton, High Thread Count. LOCATION FLAT RATE ENVELOPES FLAT RATE BOXES. FIESTA designed by Bernadette Deming for Blank Quilting. This fabric collection is from Blank Quilting and was designed by Bernadette Deming. 1 yard cut of the pictured print from the Fiesta fabric collection - item #9374-99. 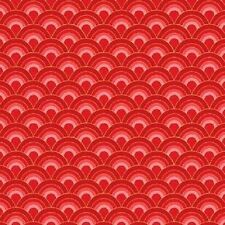 This is a lovely fabric by Blank Quilting from their Arpege Collection. This fabric is being sold by the half yard. This gorgeous large floral and foliage print in in shades on blue on navy is by Blank Quilting and is from their Regency collection. I have included three photos. The first shows a piece of the fabric from selvage to selvage so that you can get an idea of how stunning the full effect is. This is a bright and colorful abstract print by Blank Quilting. It from Blank's Watercolor Parade Collection. This colors in this particular fabric include shades of green, blue, and yellow. It is very pretty and eye-catching. This is a bright and colorful abstract print by Blank Quilting. It from Blank's Watercolor Parade Collection. This colors in this particular fabric include shades of orange and brown. It is very pretty and eye-catching. This lovely fabric was manufactured by Blank Quilting Fabrics for their Angelica collection. This is a striking looking fabric. This fabric is being sold by the half yard. CHOCK FULL OF VEGGIES - CHERRY TOMATOES - GREEN. This "veggie" fabric by Blank Quilting features cherry tomatoes on stems on a black background. BLANK QUILTING - FABRIC. SOLD PER YARD - 36" X 44". 100% COTTON. It is WESTERN DENIM & DIRT! IT IS PATTERN 7262P. Use your imagination and your own backing fabric and batting to make a finished project. it is 100% cotton fabric. Colorful backyard critters are playfully scattered across this new fabric line from Blank Quilting. It is by Blank Quilting and features leaves from magnolia trees tossed on a black background. 2 fat quarters equal 1/2 yard and 4 fat quarters equal 1 yard. Great piece for landscape quilting. It is by Blank Quilting and features fall colored leaves tossed on a black background. Wouldn't this make beautiful placemats for the fall season! The color is "Wisteria". It is by Blank Quilting and is from their Splash collection. From Blank Quilting, "Paradiso". This is a beautiful quality fabric! 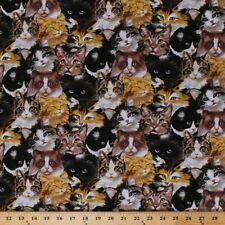 A 100% Cotton fabric, 44/45" wide. Cut off the bolt. Sold by the Half Yard. Multiple half yards will be cut in one continuous piece. FIESTA designed by Bernadette Deming for Blank Quilting. This fabric collection is from Blank Quilting and was designed by Bernadette Deming. 1 yard cut of the pictured print from the Fiesta fabric collection - item #9380-44. FIESTA designed by Bernadette Deming for Blank Quilting. This fabric collection is from Blank Quilting and was designed by Bernadette Deming. 1 yard cut of the pictured print from the Fiesta fabric collection - item #9375-44. FIESTA designed by Bernadette Deming for Blank Quilting. This fabric collection is from Blank Quilting and was designed by Bernadette Deming. 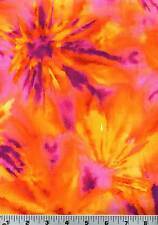 1 yard cut of the pictured print from the Fiesta fabric collection - item #9379-99. FIESTA designed by Bernadette Deming for Blank Quilting. This fabric collection is from Blank Quilting and was designed by Bernadette Deming. 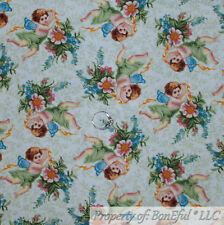 1 yard cut of the pictured print from the Fiesta fabric collection - item #9376-99. SPLASH 3504 ICE. 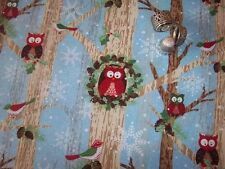 By Blank - Ice Quilting Fabric By-The-Yard. txzj pxzj4641 txzj-11 txzj42 txzj63. Patt # BTR-4409, Blank Quilting, 2006. By Lennie Honcoop for Blank - Blue Quilting Fabric By-The-Yard. Taken from various regions across the United States, these covered bridges are authentic. COVERED BRIDGES 8998 95.